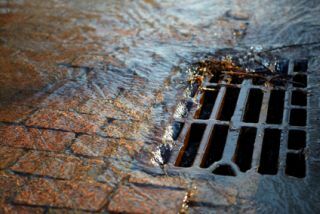 The truth of the matter is that storm drain cleaning and maintenance are essential services for any area of the country. However, in places that are prevalent to flooding conditions, such as South Florida, it is that much more of a pressing matter. While we manage to escape the worry of rapidly melting snow leading to floods here in Miami and surrounding areas, our trouble comes with torrential spring downpours, tropical storms and the rains associated with hurricanes. It can be an easy task to overlook. Yet, as soon as inclement weather moves in, it becomes easy to remember why you meant to get it taken care of. If you are not yet completely convinced why this is a service that you need to stay current with, here are some points to ponder. A storm drain is what ensures that rain waters keep flowing down the street and into the drain without incident. When the water flow becomes too much for a storm drain to handle, the result is often flooding. However, sometimes the problem isn’t the water itself, it is the presence of debris that create a dam that leads to a flood. For personal reasons, the last thing that you want is for your home to become flooded. Yet, this can easily be the end result if you neglect to maintain your storm drains. For the bigger picture, you and your fellow community members rely on one another in order to keep things running smoothly. If any one person slacks, this can genuinely impact the entire area. Think your home is safe from floods? Another threat that the buildup of water poses is collecting within your foundation or walls, which can lead to a leak. Leaks can be worse because even once the water subsides, the resulting leaks still exist. Flood water does more than get into the lower level of your home and cause damage. It can lead to soil erosion. This can lead to damage to your driveway, walkways or even the foundation of your home. The last thing that you want to do is compromise the structural integrity of your home. 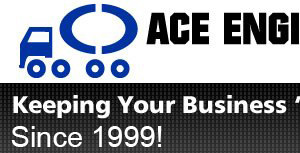 By calling on the dedicated Miami Drain Cleaning experts here at Ace Engineering, you can feel good about the level of service you can expect. We take great pride in the work that we do and that we have been providing for locals, for over a decade now. If anyone knows the importance of storm drain cleaning and maintenance, it is our local team right here in the South Florida area.